This model for women brings together the most valuable factors in Natural World: quality, comfort, ecological awareness and design. Our classic Old Iris sneakers have been renewed for this season. These woman sneakers have been designed in Spain with 100% ecological materials, combining style and sustainability. The upper part of the Old Iris sneakers is made of cotton velvet and the interior is lined with purple microfibre. The outsole is 100% natural rubber. 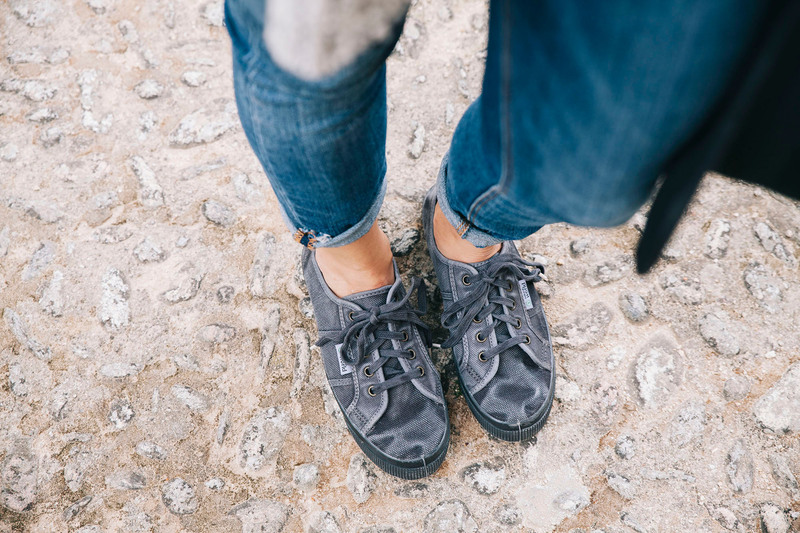 As part of our brand philosophy, these women sneakers come in a recycled cardboard box, something essential for those who want to contribute positively to the environment.